They say things come in threes. Usually though, they are bad things. Take for example this current topic. 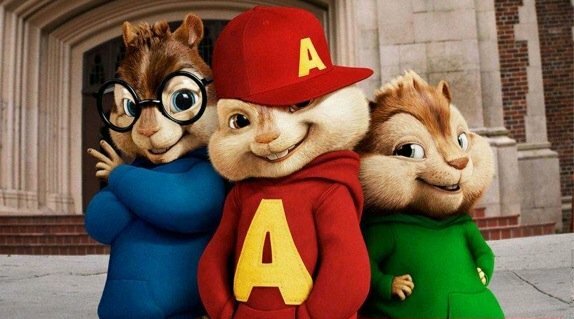 In the Alvin and the Chipmunks group there are three chipmunks and in the film franchise there will now be three films. Today we get our first glimpse at the new film in the now trilogy, Alvin and the Chipmunks: Chipwrecked. The trailer is fairly short (thank the lord) and is pretty much a parody of Titanic, with one of the little chipmunks screaming “I’m the King of the World”, which is nearly as annoying as when Leonardo DiCaprio said it the first time round. If the only the little fluffy thing had slipped over the bow of the ship. But hey, the world isn’t perfect right? The other two films made around $200 million a piece worldwide so it’s no surprise to see a third in production. It is a shame though. Alvin and the Chipmunks: Chipwrecked lands on your shores on December 16th. May God have mercy on our souls. Watch the trailer and read the synopsis below.